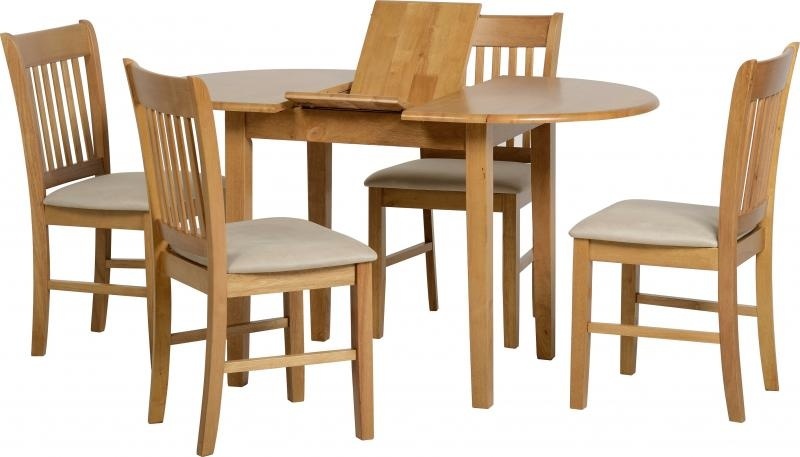 Excellent value, space saving dining set made from rubberwood with a natural oak finish. 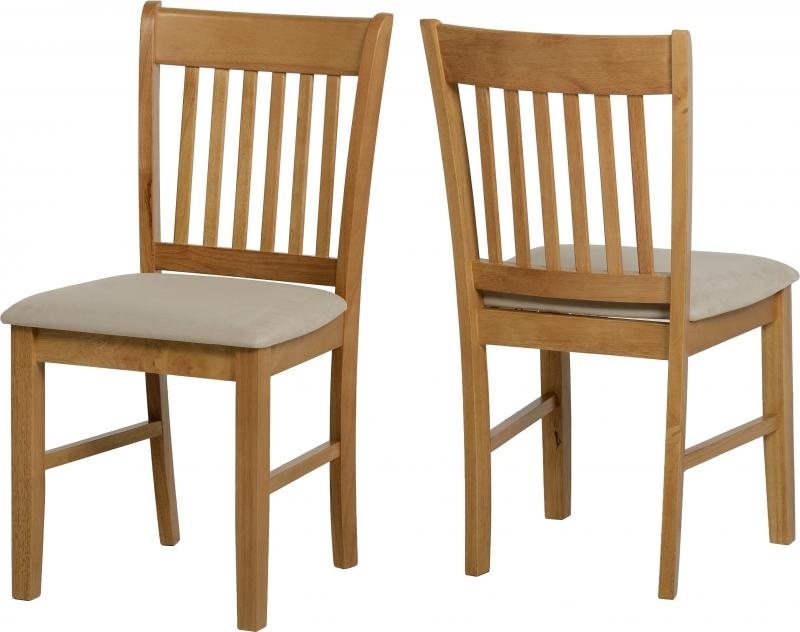 The 4 chairs have a mink microsuede seat pad. Delivery Cost - £17.00 (there is a £4 delivery discount for each extra item ordered).